The Indiana Chapter of the Satanic Temple has adopted a highway in a rural stretch of Zionsville the sign is causing a stir among residents. The Indiana Department of Transportation’s Adopt-a-Highway program allows organizations to place their names on a sign if they commit to cleaning up liter on a two-mile stretch of highway four times a year. Konija says that the first few feet of the roadside belong to the state. 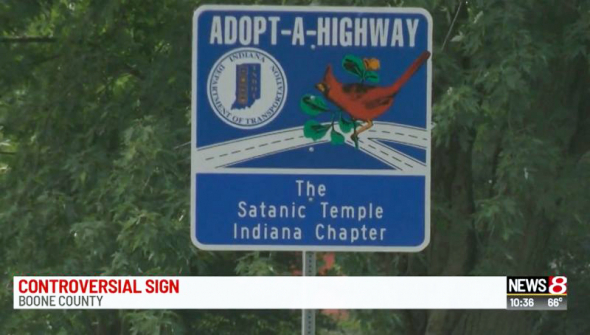 A spokesperson for INDOT stated in response to residents concerns that the sign will stay up as long as the Satanic Temple agrees to keep cleaning the highway. Another resident, one who is across the street, worries that the sign may affect her property value. Another INDOT spokesperson stated that the department respects freedom of speech and that there are no restrictions on what groups can adopt a sign. While many residents are concerned some aren’t bothered, Fritz Kolmerton lives next to the Konijas. 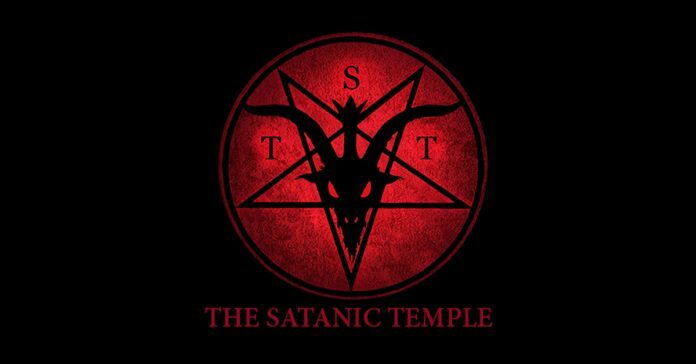 Across the United States, chapters of the Satanic Temple are regularly challenging Christian organizations, such as prayer in schools or any form of Christian influence in government. The groups most recent event was in Little Rock Arkansas, where the organization trucked in a Baphomet statue after the local government approved a statue of the ten commandments. They’re on the “Highway to Hell”….let ’em go…..